SILVER SPRINGS, FL -- Despite evidence that Florida’s iconic Silver Springs would be further degraded from the over-pumping of groundwater and increased nutrient pollution, an Administrative Law Judge has recommended approval of a permit for the massive cattle operation, Sleepy Creek Lands (formerly known as Adena Springs Ranch). The Judge’s ruling is the result of a legal challenge by Sierra Club, St. Johns Riverkeeper, and two citizens, Jeri Baldwin and Karen Ahlers. Florida Defenders of the Environment also supported this challenge as an Intervener. Sleepy Creek Lands and its owner, Canadian billionaire Frank Stronach, are seeking a permit to pump 1.46 million gallons a day (mgd) from the already-stressed Floridan Aquifer for the first phase of a multi-phase beef operation located close to Silver Springs and the Ocklawaha River Aquatic Preserve. The proposed project has created uproar from concerned citizens throughout the state. During the administrative hearing, it was revealed that the 9,500 head of cattle planned for Phase I will produce nearly 158 million pounds of manure and 11 million gallons of urine per year. In addition, 700,000 pounds of nitrogen from fertilizer will be used to grow grass and crops to feed the cattle. The petitioners presented evidence that the aquifer is critically over-tapped in the Silver Springs springshed, and that the fertilizer and manure will increase nutrient pollution in the Silver and Ocklawaha Rivers. The flow of Silver Springs has already declined on average by more than 30 percent, and nitrate concentrations have increased 20-fold over healthy background levels. 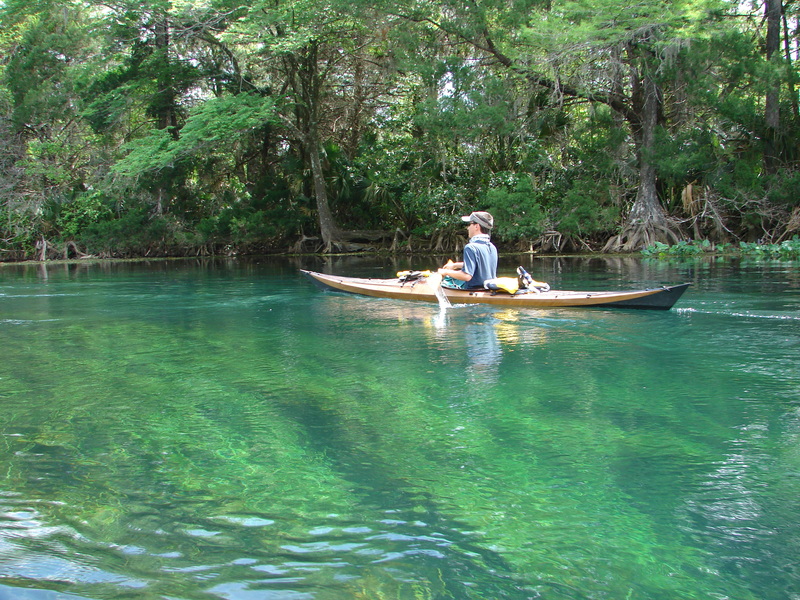 In 2012, the state of Florida introduced a cleanup plan calling for a 79% reduction in nutrient pollution from existing users to protect Silver Springs and the upper Silver River. The legal challenge was in response to the proposal by St. Johns River Water Management District staff to grant the requested permit to Sleepy Creek Lands despite overwhelming evidence that groundwater in the area is already over-allocated and that existing permitted withdrawals are contributing to the significant flow reductions at Silver Springs. While disappointed, the petitioners say the battle is not over. The parties first have an opportunity to file written exceptions to the Recommended Order, explaining where they think the Judge erred in his determinations. The Judge's recommendation and these exceptions will then be considered by the St Johns River Water Management District Governing Board when they vote on the permit at a to-be-determined upcoming meeting. One of the weakest parts of the Judge's conclusions is his finding that the proposed withdrawal is "consistent with the public interest,” says to St. Johns Riverkeeper Lisa Rinaman. "Allowing our over-pumped aquifer and polluted waterways to be further degraded for the economic benefit of a private landowner is completely contrary to the public interest. The Judge's recommendation elevates the economic interests of a few about the damage that will likely occur to Silver Springs, Silver River and the Ocklawaha River, and ignores the testimony of nearly 50 citizens who spoke as part of the administrative hearing process."